Syagrus coronata (Martius) Beccari belongs to the Arecaceae family, an economically and ecologically important species of palm tree. 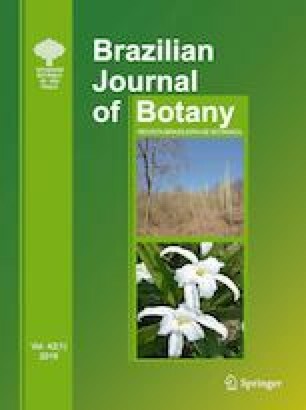 It grows in northeastern Brazil and has a widespread geographic distribution in the “Caatinga” (a seasonally dry tropical forest biome) and Atlantic forest domains (a rain forest biome). The aim of this study was to perform a genome survey and develop SSR markers using high-throughput sequencing. We obtained 78,231,881 million Illumina single-end and paired-end reads, and these reads were used to obtain contigs with a minimum of 500 nucleotides using Ray software. Mining of the SSRs was performed with Phobos software, while the primers were designed by Primer3. Thirty loci were analyzed, three of which were not amplified, 12 were monomorphic, and 15 were polymorphic. Five to 11 alleles per locus were observed, with the observed and expected heterozygosity at 0.06–0.63 and 0.73–0.88, respectively. Here, we report the first set of microsatellite markers developed for S. coronata, and their polymorphism levels indicate they can be used as powerful tools for evaluating genetic diversity and population structure, and thus contribute to conservation studies. The online version of this article ( https://doi.org/10.1007/s40415-018-0507-3) contains supplementary material, which is available to authorized users. We acknowledge the Federal University of Alagoas for the laboratories, the financial support of Fundação de Apoio à Pesquisa de Alagoas (FAPEAL), and the National Council for the Improvement of Higher Education (CAPES). Barbosa SN performed the experiments, and Almeida C analyzed the data and wrote the manuscript.